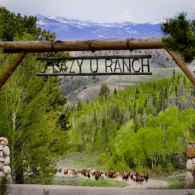 Also available at the C Lazy U Ranch is a private vacation rental home that sleeps up to 11 people in utter luxury. 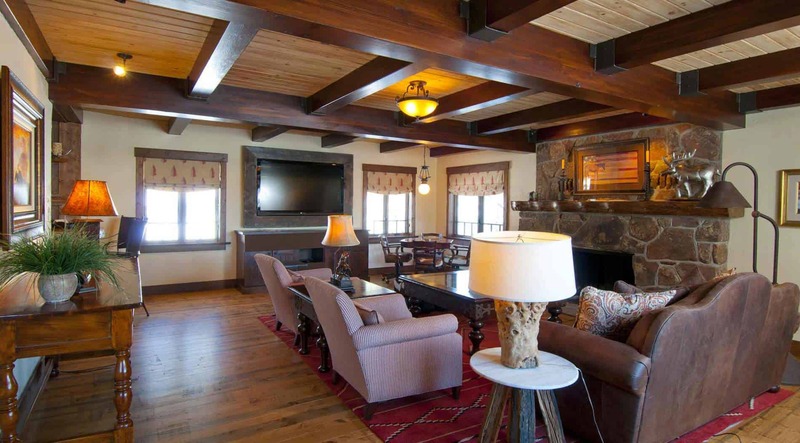 Situated about 200 yards from all the action, the interior furnishings and finishes are exceptional and the panoramic views offered of the entire ranch are truly breathtaking. 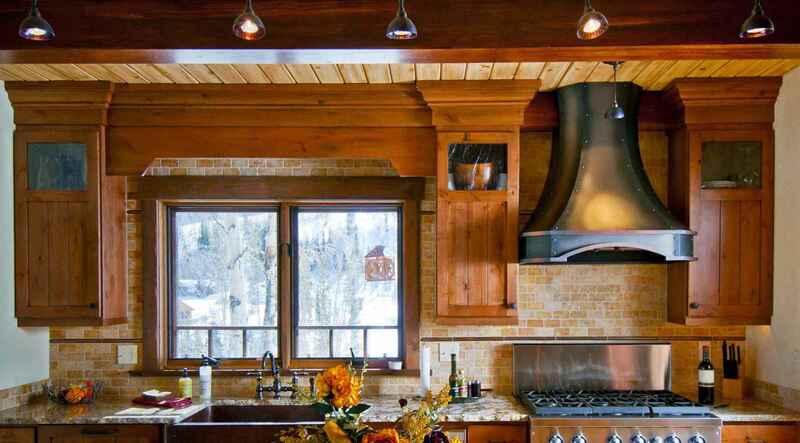 A gourmet kitchen, state-of-the-art sound system, private hot tub and three-car garage are just the beginning of what you can expect to enjoy when you stay in this home. 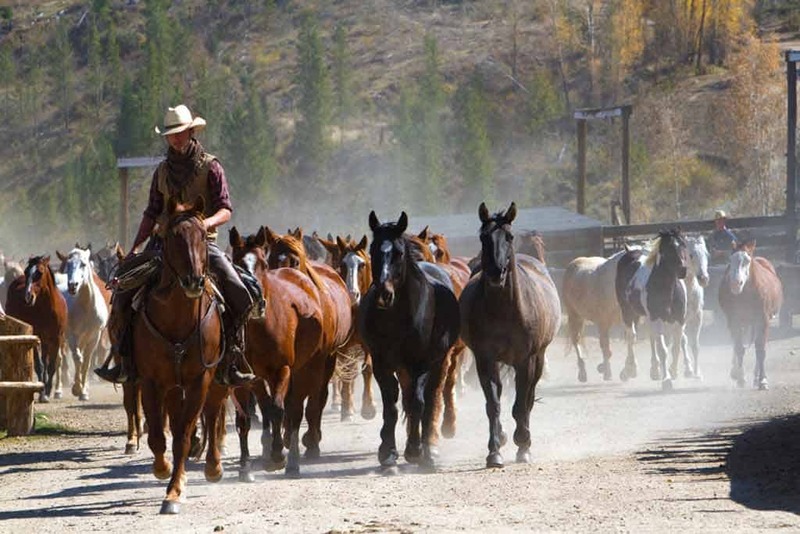 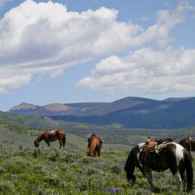 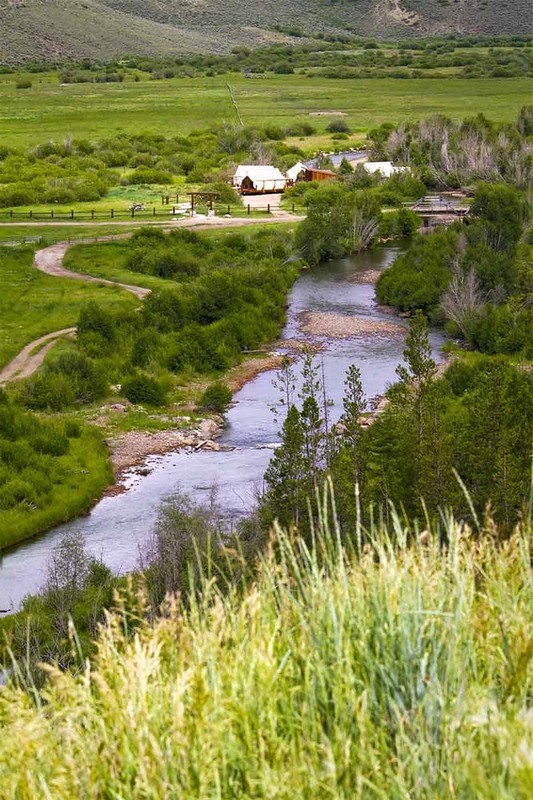 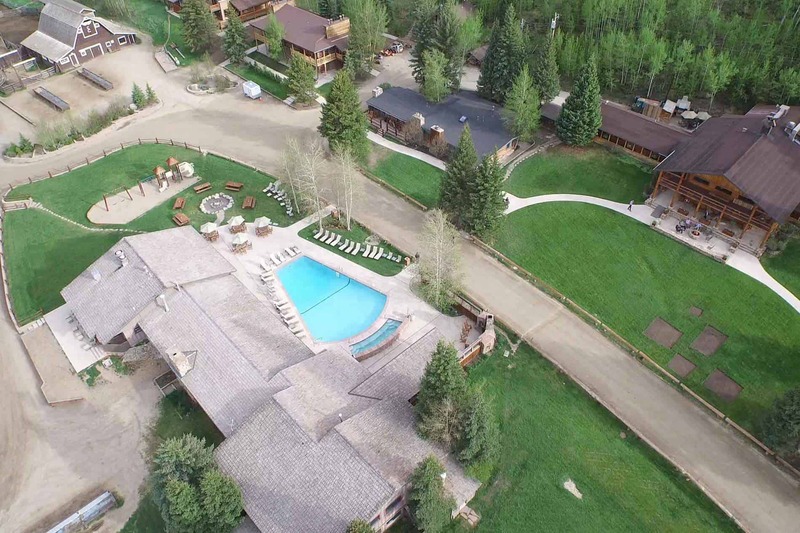 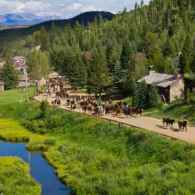 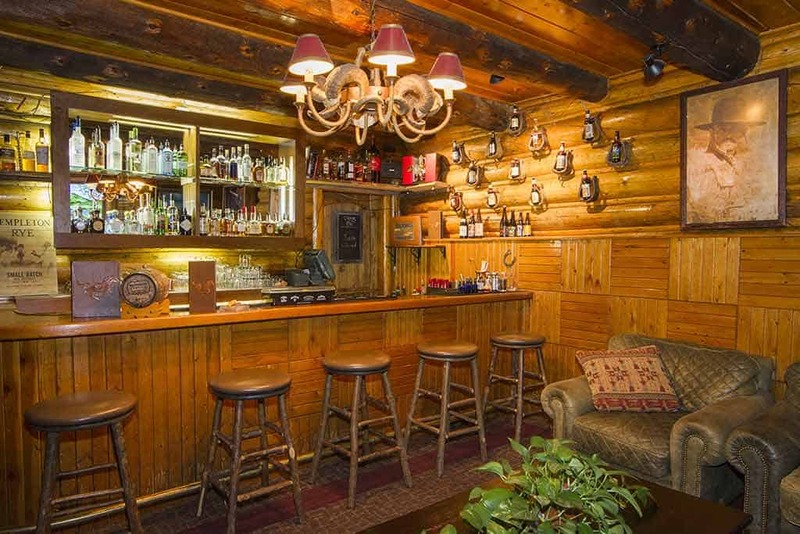 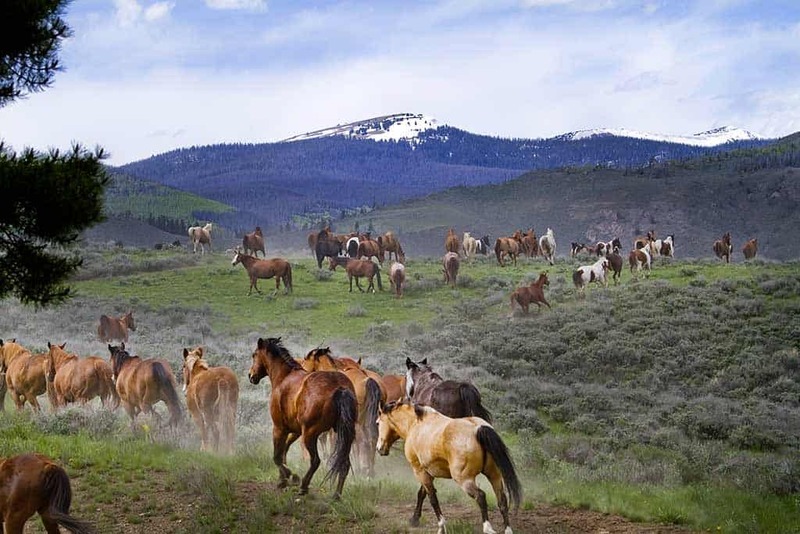 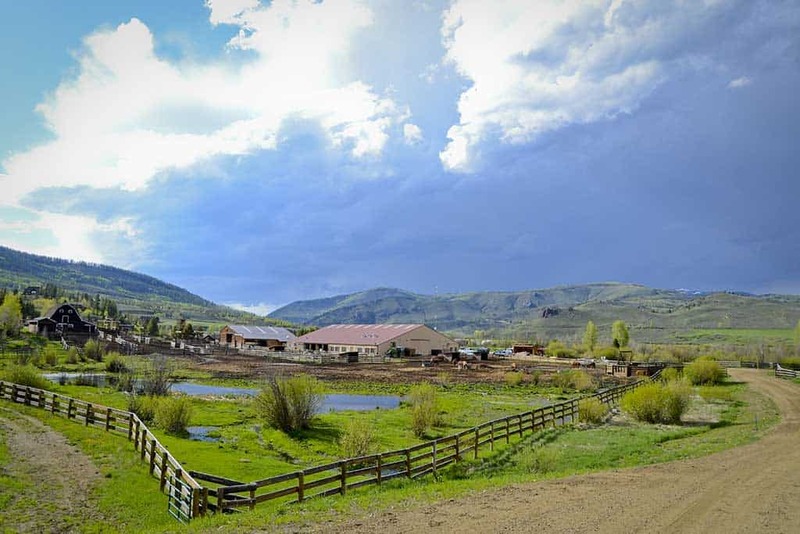 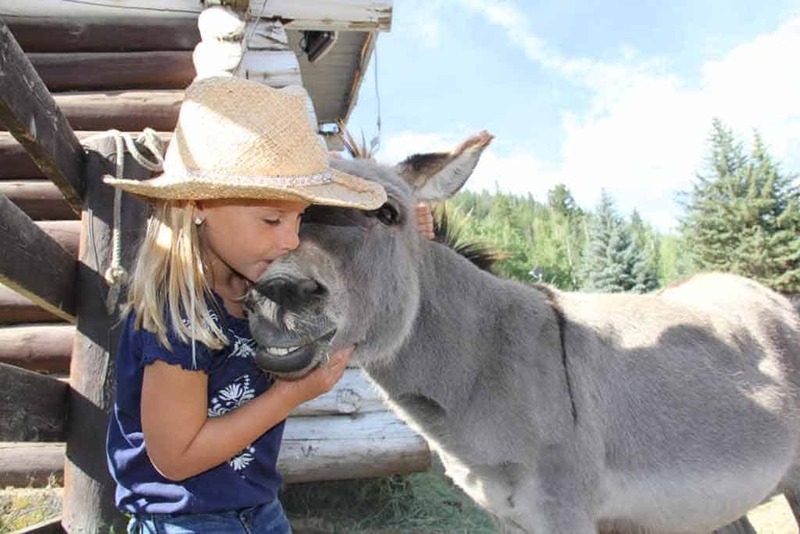 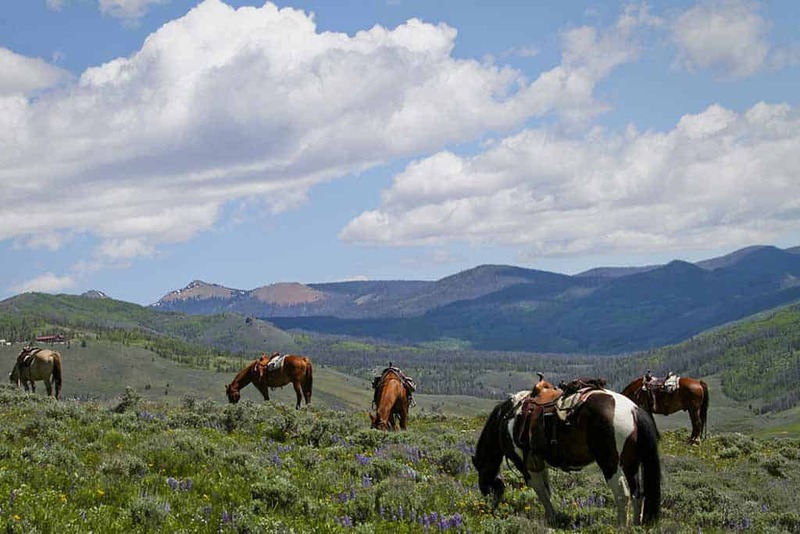 The Midnight Trail Lodge is a stunning turn-key vacation rental home that is ideal for corporate retreats, family reunions or any group with a passion for luxurious Colorado family vacations or horseback riding vacations. 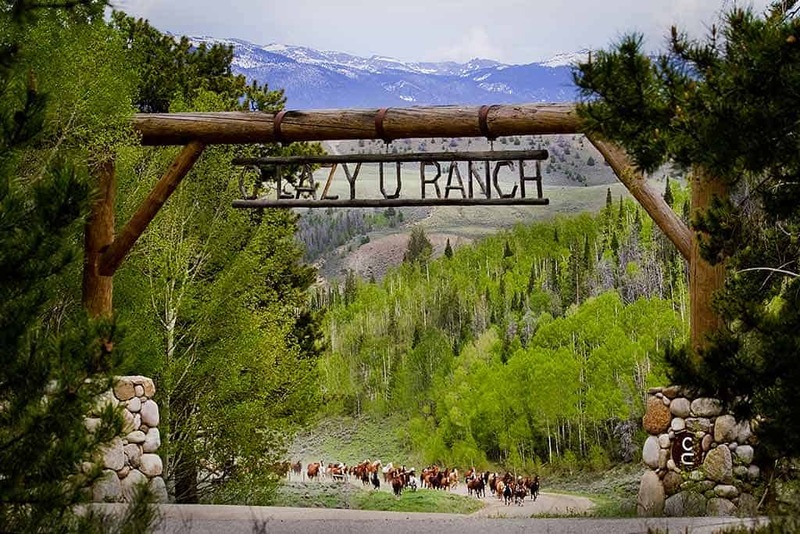 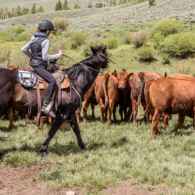 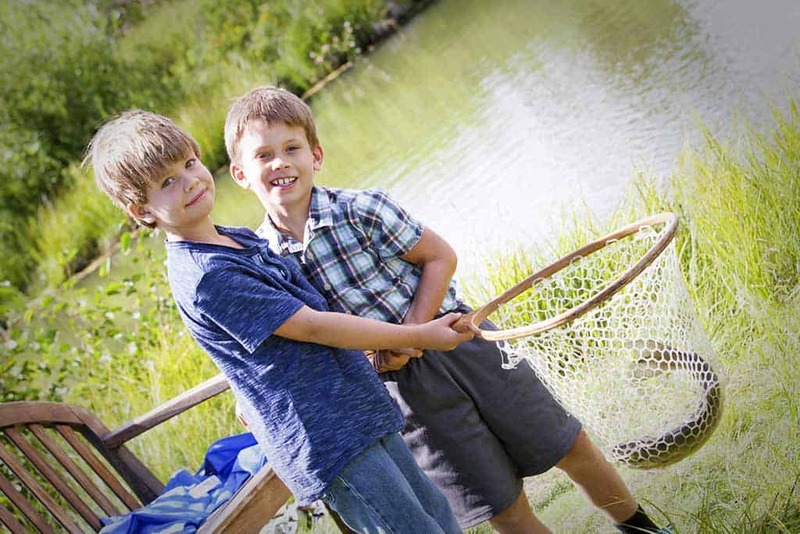 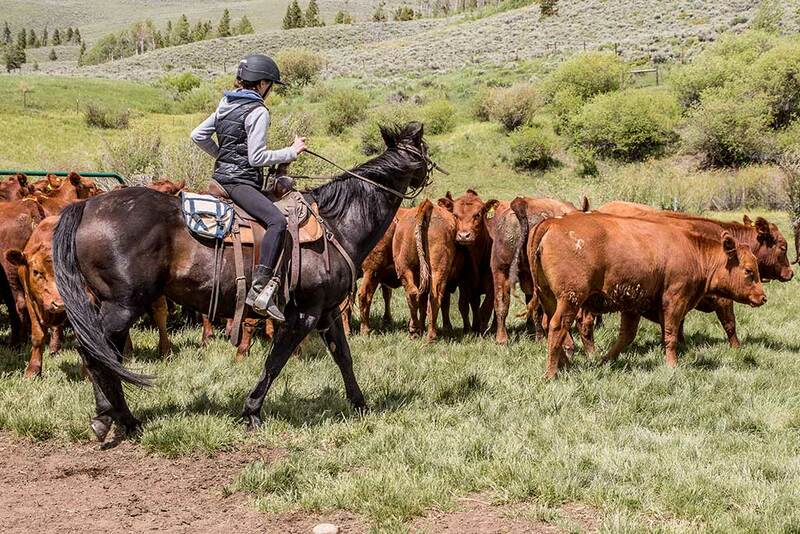 Guests at the Midnight Trail Lodge enjoy all the gourmet dining and exciting ranch activities that the C Lazy U has to offer, plus all the comforts of home in a newly renovated and state-of-the-art home with a three-car garage. 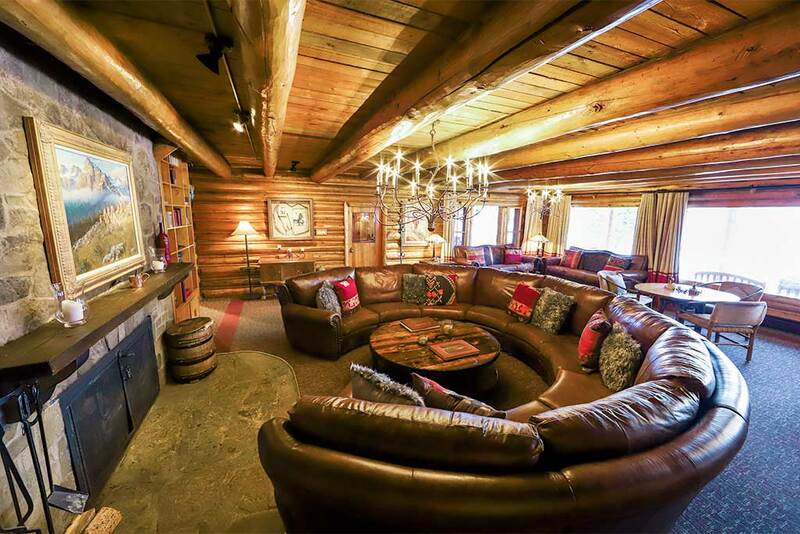 Another view of the huge living room. 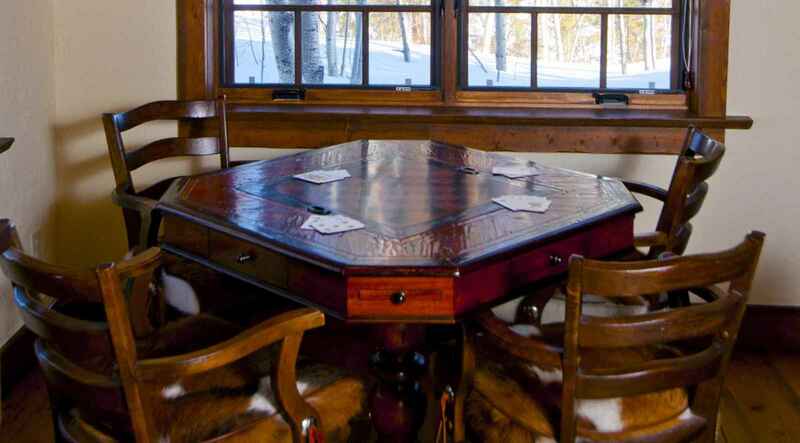 The living room even has an authentic card table. 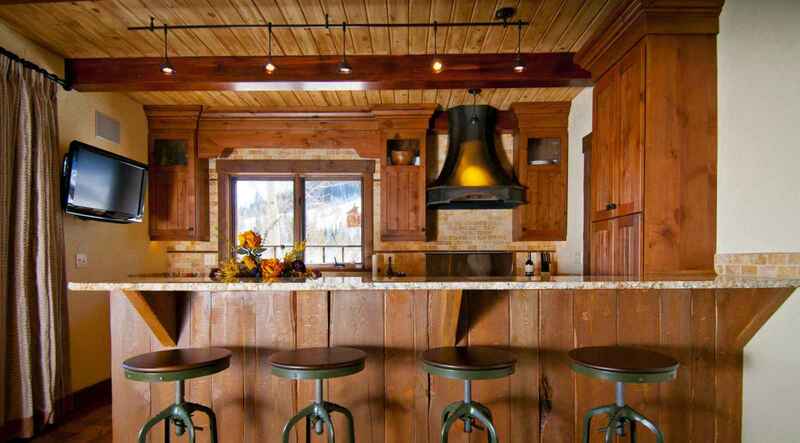 The bar that separates the kitchen and dining area. 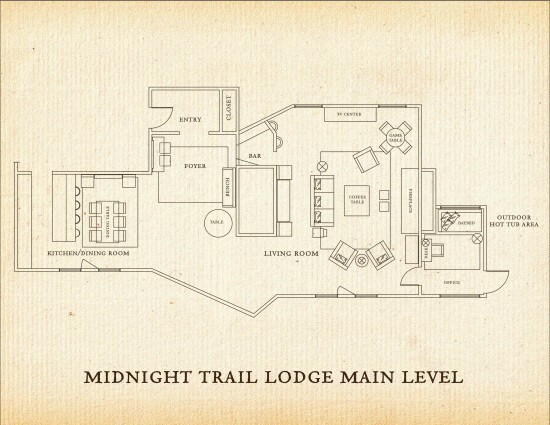 The Midnight Trail Lodge kitchen. 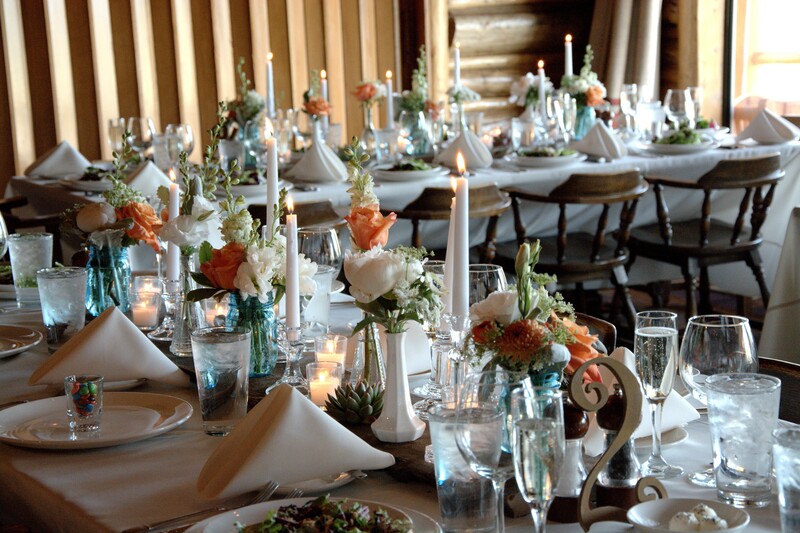 The dining room is tastefully decorated. 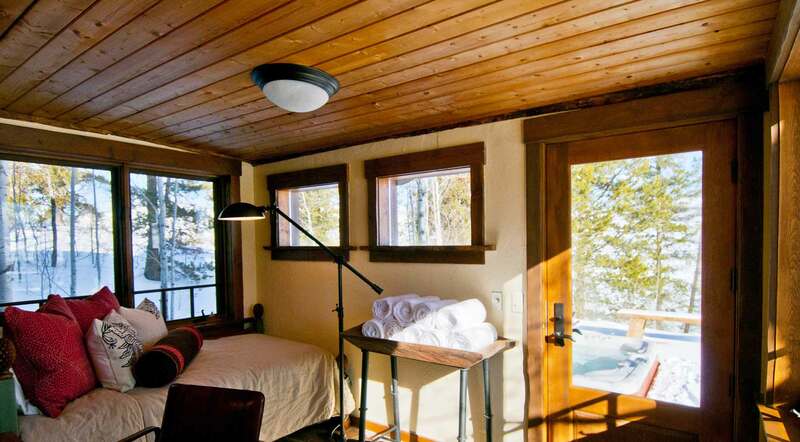 The day room leads to the patio and hot tub. 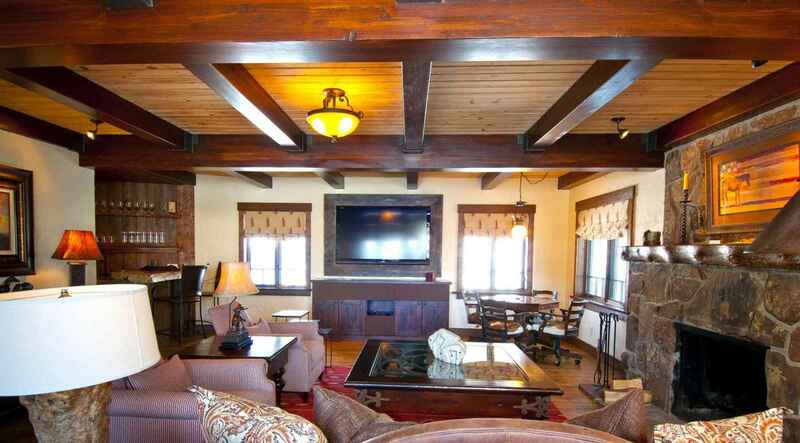 Another view of the day room. 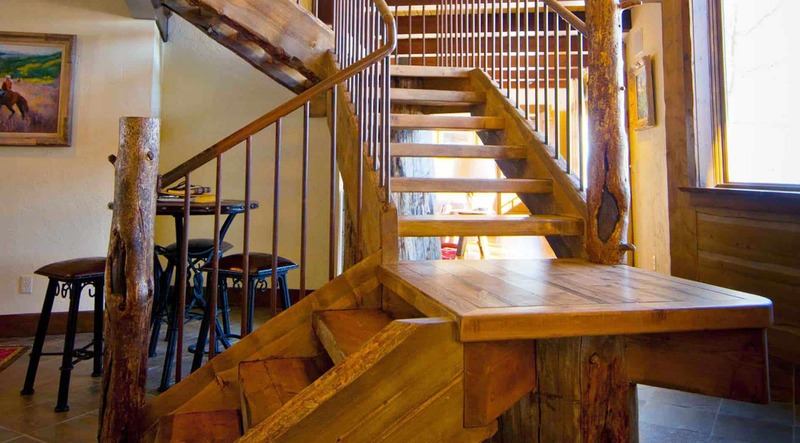 Even the staircase is beautiful at Midnight Trail Lodge. 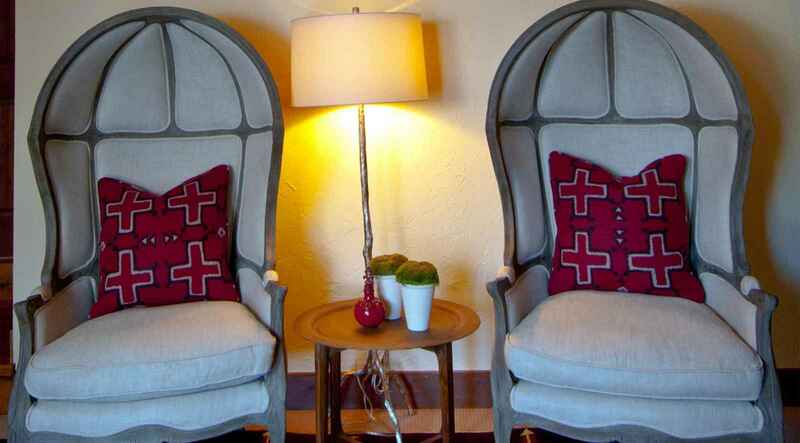 Closeup of the master bedroom chairs. 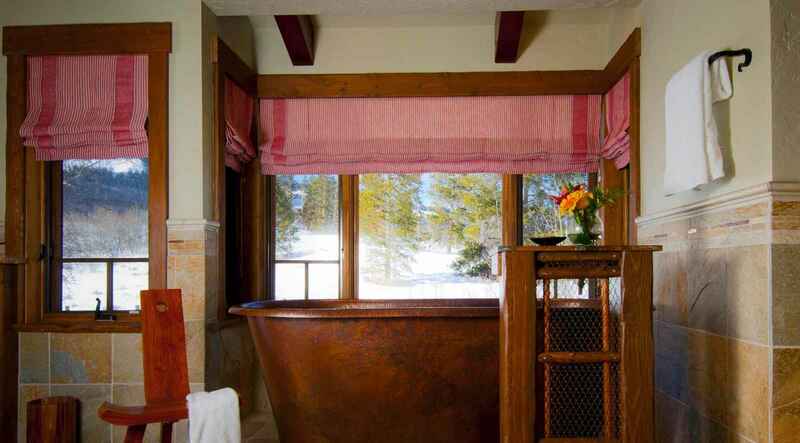 The copper soaking tub in the master bath. 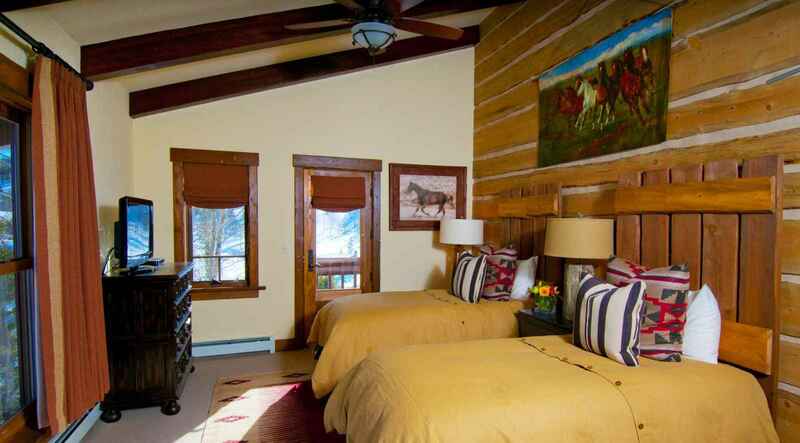 One of the upstairs bedroom, set up with two twin beds. 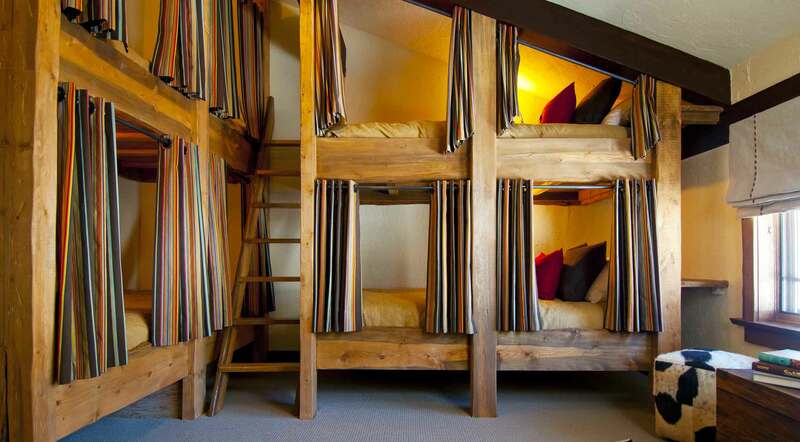 Kids love the cozy bunkroom at Midnight Trail Lodge. 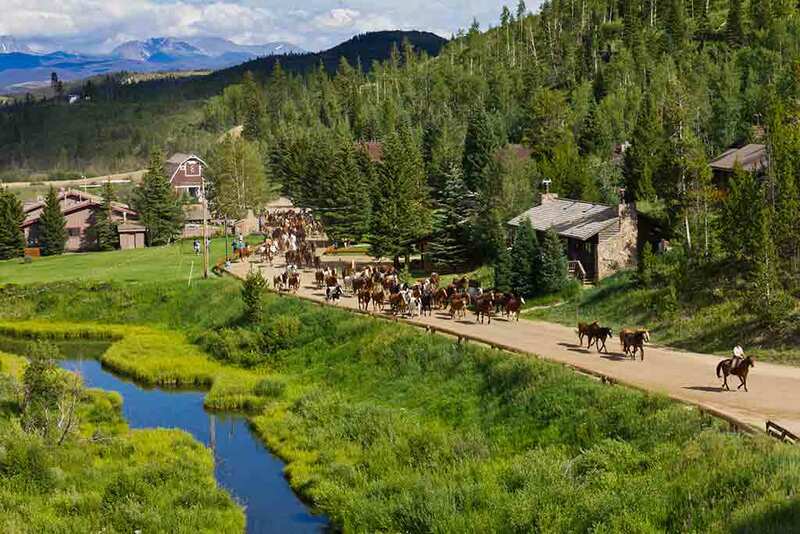 The Midnight Trail Lodge offers amazing views. 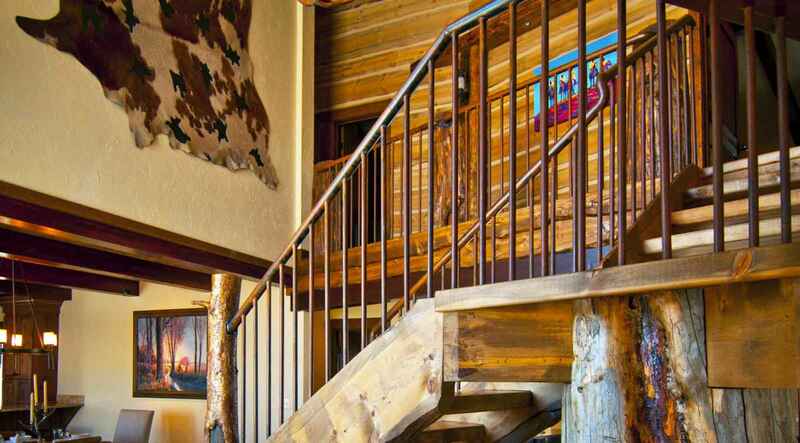 The main level opens with a large grand entry area. The builders installed a music sound system throughout the entire house and the family room has an enormous flat-screen television and DVD player, fireplace and wet bar. 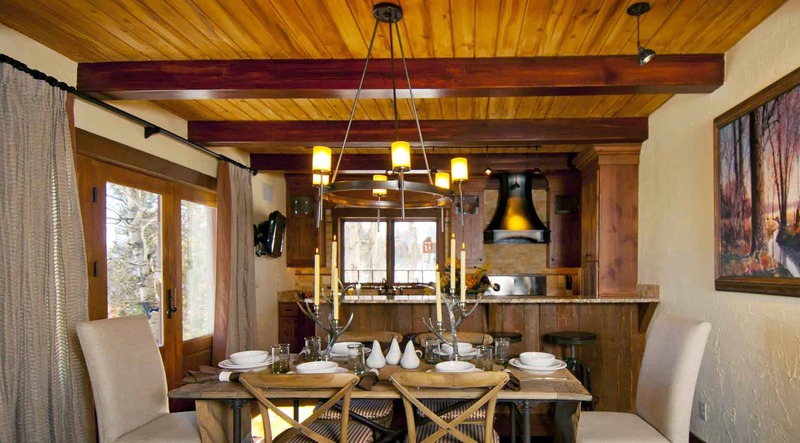 A gourmet kitchen, dining area and pantry are just off the living room, and there’s a laundry room and powder room off the kitchen. 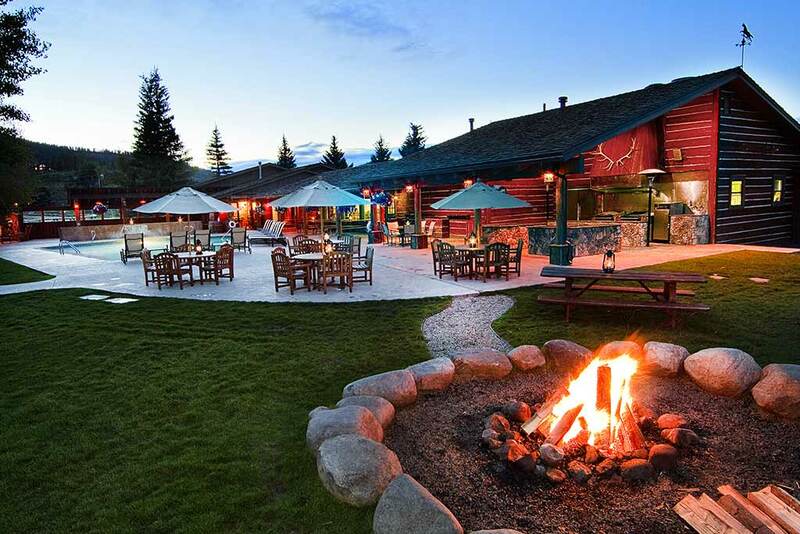 Passing through the day room will lead you to the private outdoor hot tub area, where you’ll also arrive at a large patio with a fire-pit looking over the C Lazy U meadows that look toward the Rocky Mountains. 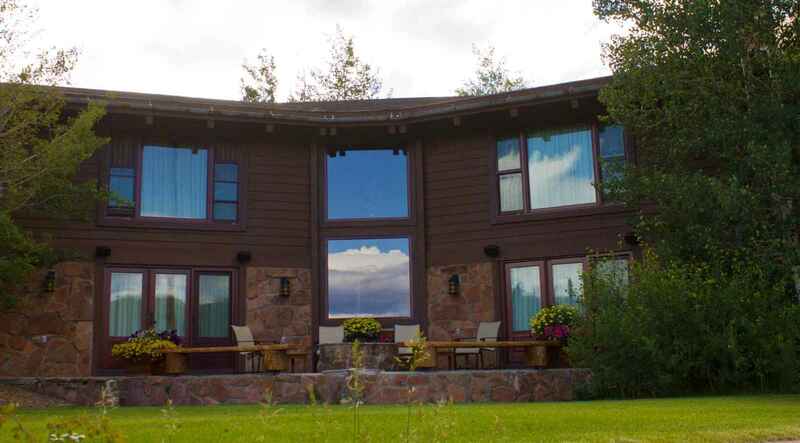 The views of the Continental Divide from this house can’t be beat! 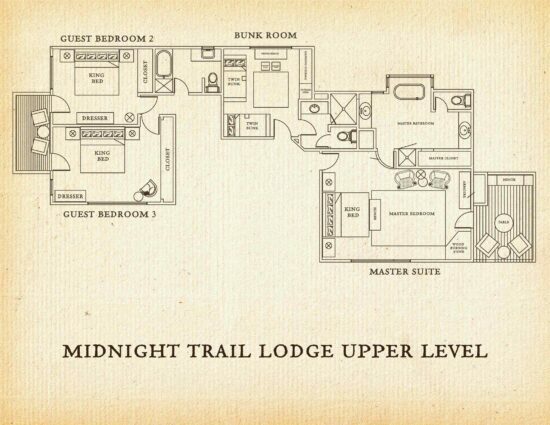 There are four bedrooms on the upper level. 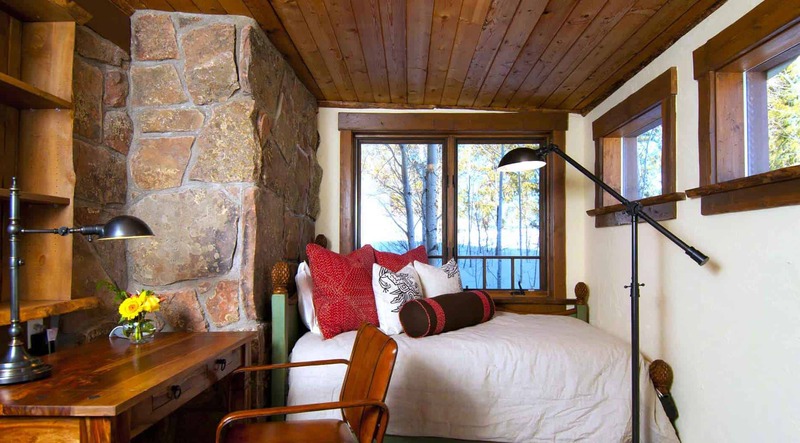 The master bedroom suite has a balcony that comes complete with magnificent views plus a master bath with a copper soaking tub, double vanity, water closet, and shower. 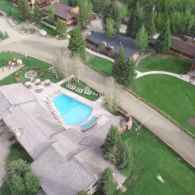 Two additional bedrooms share a balcony, and are furnished with king-sized beds in each that can be converted to two twin bed. 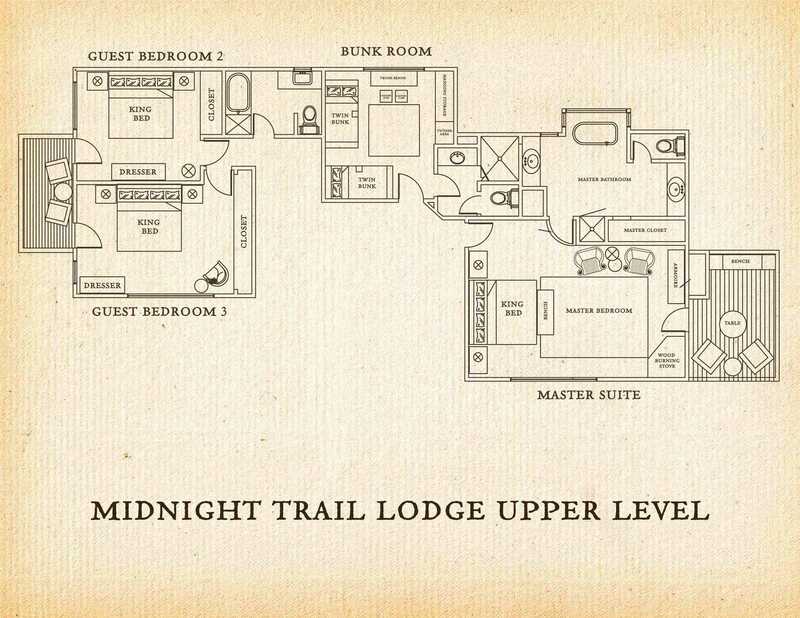 A full bath in the hall is shared by these bedrooms. 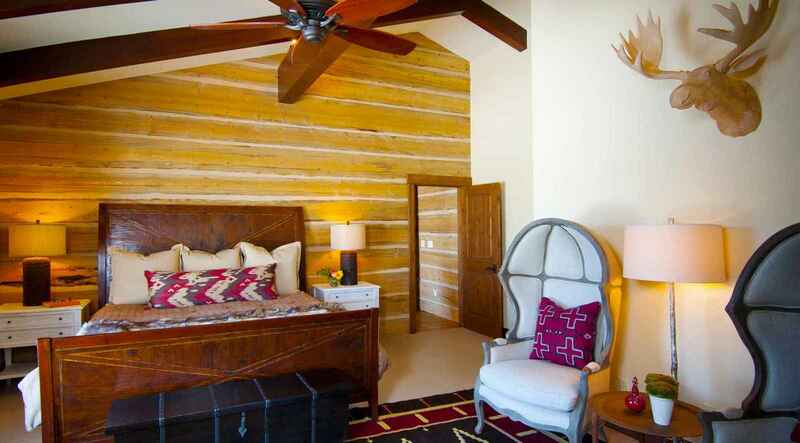 The fourth bedroom is a bunkroom with two sets of bunk beds and an in room bath, complete with a shower. 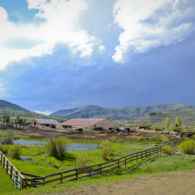 For your convenience, a golf cart can be rented for $50 per day to help you get from the Midnight Trail Lodge to the other areas of the Ranch. 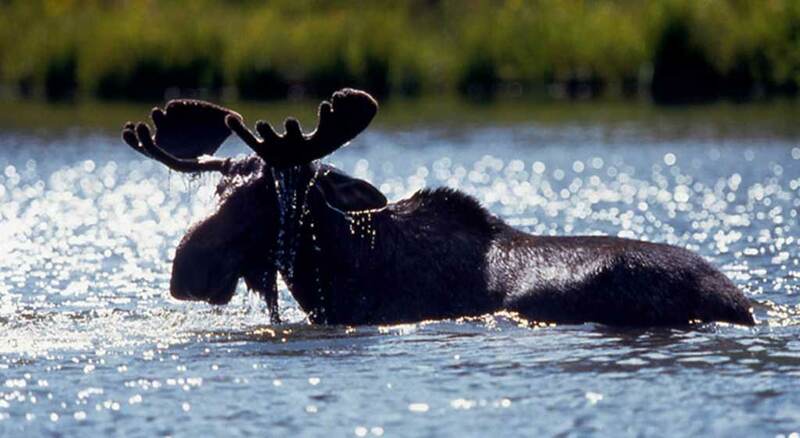 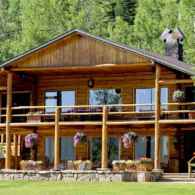 However you’ll find that the Main Lodge is within easy walking distance – about 200 yards – as is the Barn and Patio House where the swimming pool and game room are located. 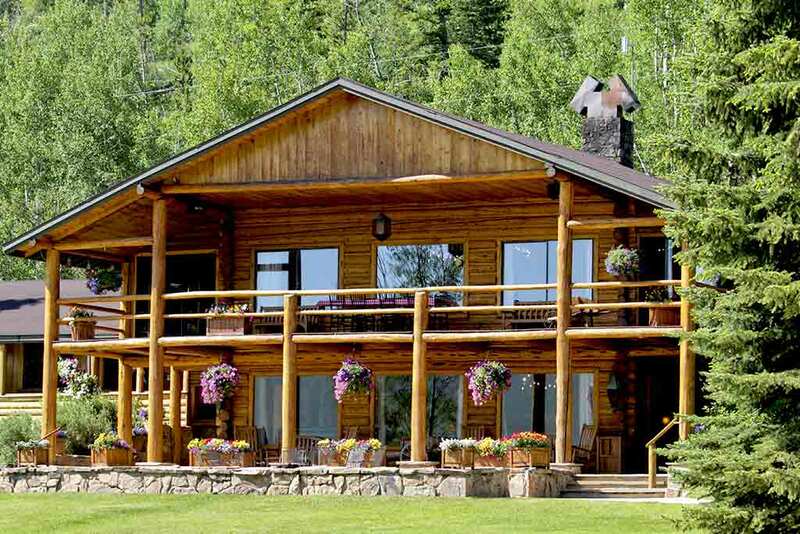 When renting this home we highly recommend you rent a car for transportation, especially during the winter months when a golf cart will not be suitable. 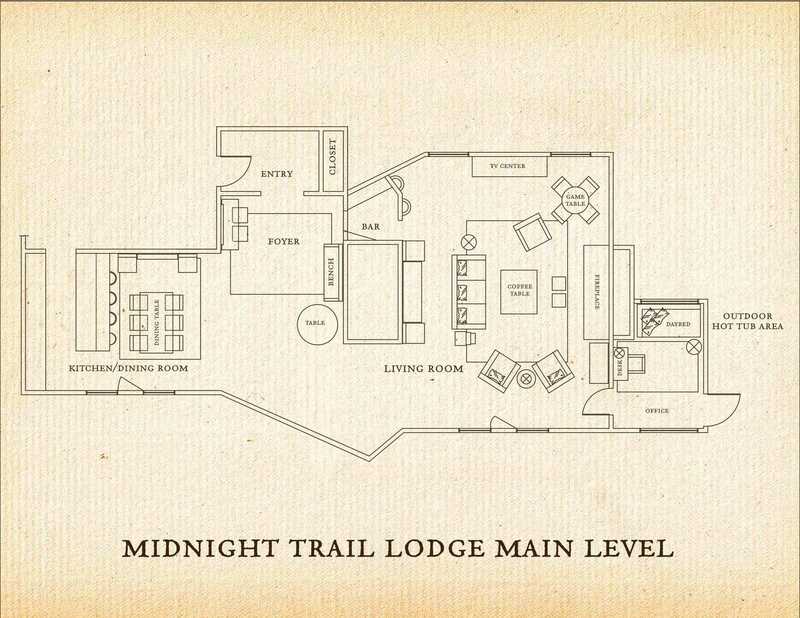 The Midnight Trail Lodge includes daily housekeeping service, nightly bed turndown offered seasonally, plush robes, and coffee/tea/cocoa service. 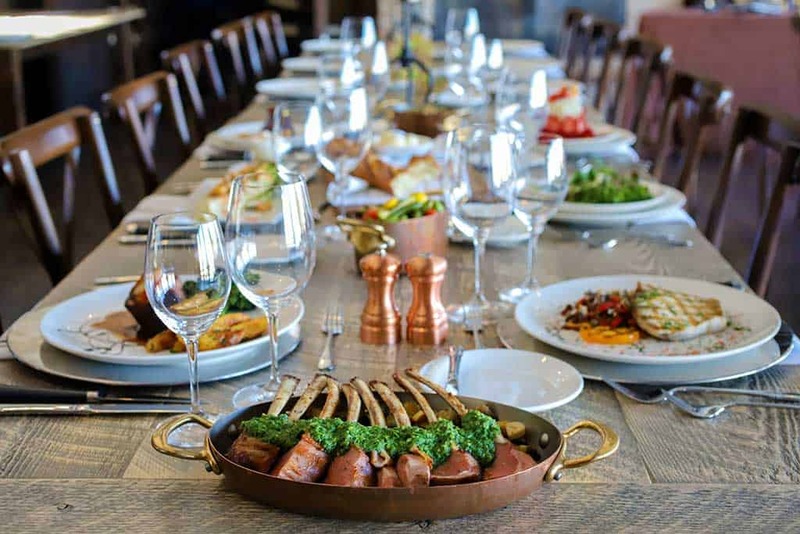 Anything else you need, such as pre-stocking the fridge, is easily arranged just by consulting with our concierge. 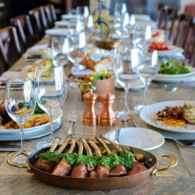 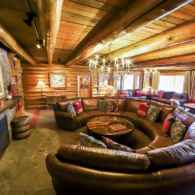 C Lazy U can also arrange to have a private chef cater parties and events at the Midnight Trail Lodge.